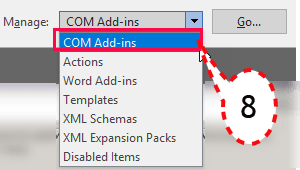 Have icons/tools disappeared from your MS Office Toolbar? 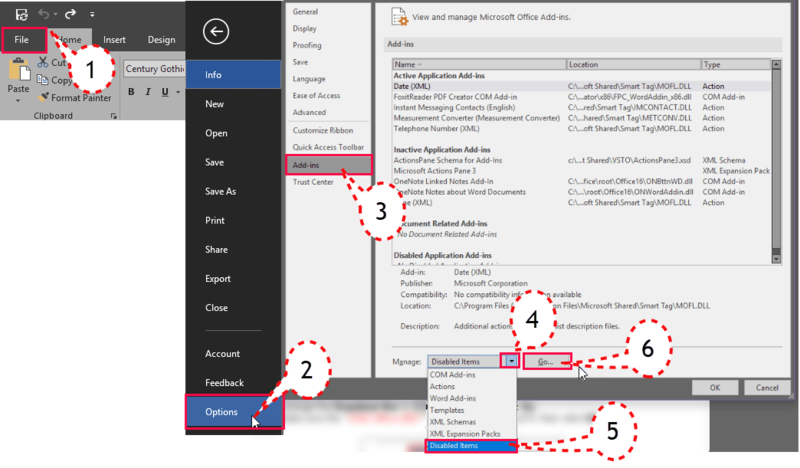 Disabled items can occur if the application you are working in encounters an error, it may then issue an alert message box that will inform you it wants to disable the item. If you say OK to this the Add-in will go into the disabled items list. 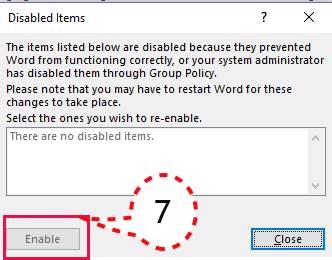 If the item you wish to re-instate is not in the disabled items list then you will need to check if it has been de-selected. The required icon/tools should now be visible on the toolbar/ribbon as before.